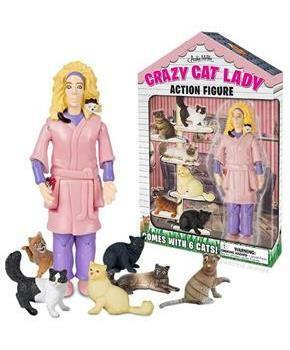 Every town has a Crazy Cat Lady. She's the one who lives in a tiny house full of feral felines. 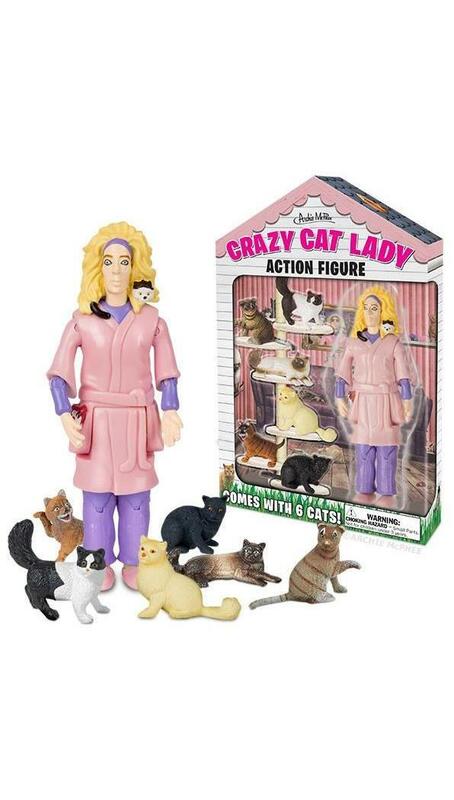 This tall hard vinyl Crazy Cat Lady Action Figure has a wild look in her eye and comes with six cats.